We've put together a list of the most beautiful lakes in the Canadian Rockies. Read about best lake trips and hikes in British Columbia and ALBERTA, Canada. Canada, especially province of Alberta and British Colombia, is associated in many people's mind as a country of turquoise lakes surrounded by jagged peaks. We had no different expectations. You won't believe the color is real until you are standing on the shore and see it with your own eyes. It's real photographers heaven so go ahead and find your spot! 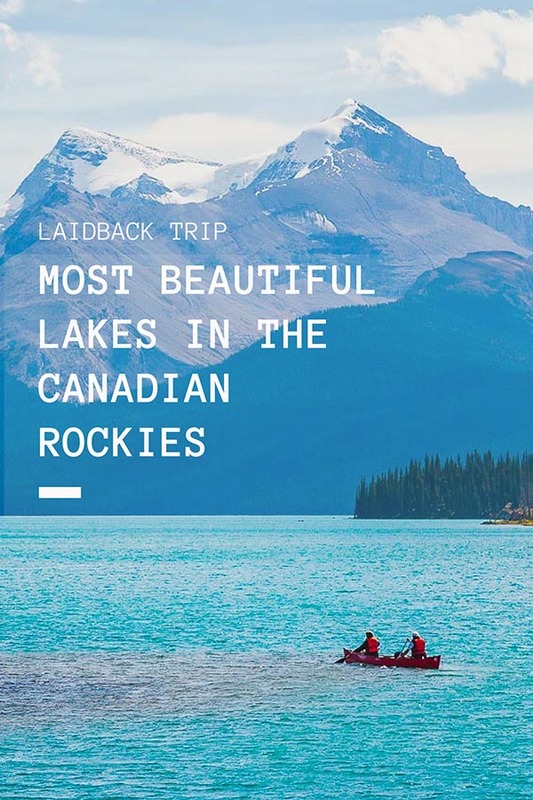 We've put together a list of the lakes in the Canadian Rockies we liked the most. Emerald Lake is a magical tourist attraction in Yoho National Park. The flat trail encircles the lake so you can enjoy a relaxed stroll and admire reflections on the water surface. Easy access to this trail makes it popular with everyone, especially families. Lake Louise belongs to the most iconic natural features in the Rockies if not in the whole country. The scenery is breathtaking, and the surrounding snow-capped mountains together with emerald waters in the summer and calm frozen surface in the winter create a rewarding combination. Plan your trip and activities carefully as the lake might be still frozen through the May though. Lake Louise is the starting point for many trails such as Plain of Six Glaciers. Garibaldi Lake is a turquoise colored glacier-fed lake surrounded from three sides by majestic mountains. The starting point to Garibaldi Lake trek is just an hour and a half ride from Vancouver which makes it a perfect one day trip. Make an extra effort and climb up to the top of Panorama Ridge, a breathtaking view from above will blow your mind away. Maligne Lake is another beautiful and at the same time the largest lake in Jasper National Park. It is fed by Maligne River and surrounded by high peaks. Nearby trails are tempting, we hiked Opal Hills trek, but Jasper's most famous walk is Skyline Trail, 44 km ridge trail. When in the area, don't miss Maligne Canyon. Probably the most photographed lake in Canada lies in Banff National Park. It is almost impossible not to see the postcard-like photo before you reach it by yourself. We guarantee you the lake settings will allure you and it does not matter how many times you've seen it before. The place attracts crowds, and the parking lot is filling up quickly so be aware of it. Located on the Columbia Icefields Parkway, this lake receives a large number of visitors every year. A short boardwalk will take you to the viewing platform from where you can admire the emerald color and atypical shape of this lake.